Lovely flavors, great idea, Im going to make this for lunch! 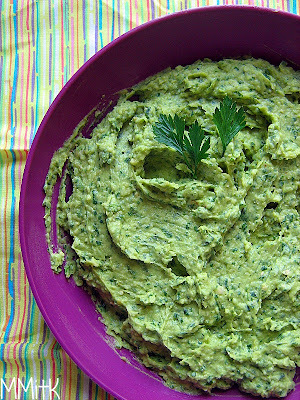 great idea adding and avocado, I could eat this spread on some toast. I love it!!! How do you make hummus even better? Add avocado! Brilliant! This is amazing. I love the twist on two favourites Mary Ann.